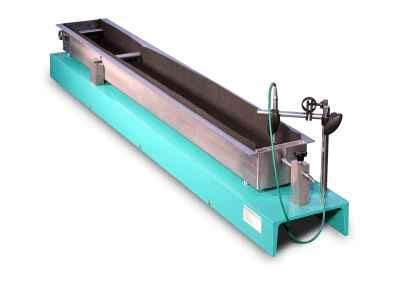 With the Bending Drain you measure the shrinkage and bending of building materials. Also you may simulate with a built in electrical heating a real world floor heating. Two RTDs are measuring the temperature on the bottom of the form work as well in the air or in the specimen. An additionally moisture/temperature sensor may be connected. Below you see a typical data plot. 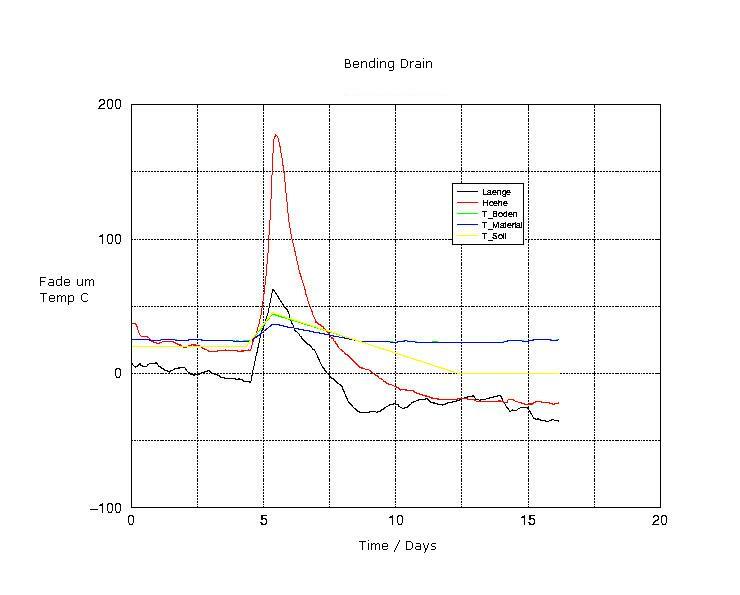 The x-Axis shows the time in days, the y-axis temperature in °C and length change in microns. After 4 and half day the floor heating was activated. The green line shows the temperature at the bottom of the specimen, the blue line is the temperature in the core of the specimen. The red line shows the bending, the black one the length change.